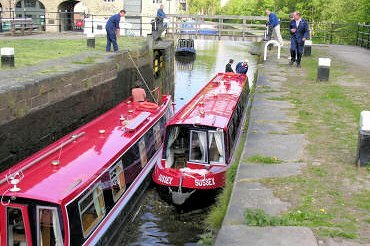 To enjoy your narrow boat holiday fully, you need to feel confident in handling the boat, and know that all your crew are safe. So we take exceptional care to give you and your crew the training you need. Our Holiday Guide with details of your boat, arrival information, and everything you need to know. Our Route Companion describing the waterways you will travel, with instructions for locks, boat handling etc. Order form for your bedding and other requirements. Lots of other useful information, including a link to our online shop to pre-order maps and guides. Unless you ask us not to, we send a paper Pack a few weeks before your holiday. At the start of your holiday, we brief you on the local waterways, routes, lock working and canal etiquette. 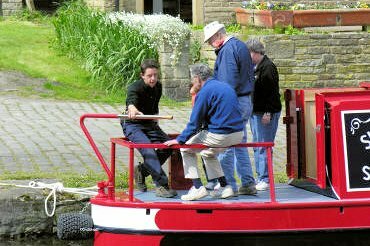 One of our experienced instructors shows you round your narrow boat, explains how it works and tells you about the daily checks to be made. You then set off, accompanied by our instructor. 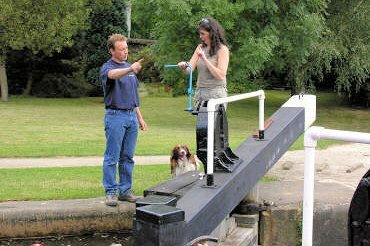 At your first lock, we show you what to do, and then help you through two more. We ask you to sign a Handover Certificate to confirm that you're happy with our briefing. 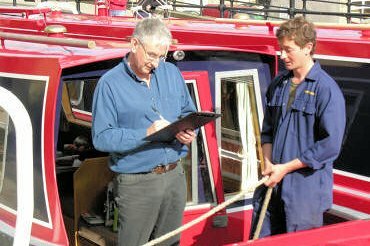 On your boat are a comprehensive Boat Manual and several canal guides. You can download The Boater's Handbook now. Watch The Boater's DVD in Dutch, German or Swedish. 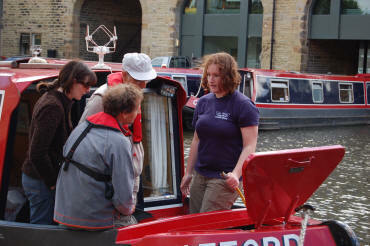 The Boater's Handbook and film (DVD) have been produced by Canal & River Trust in partnership with the Environment Agency. They show good practice in boat handling and lock work.